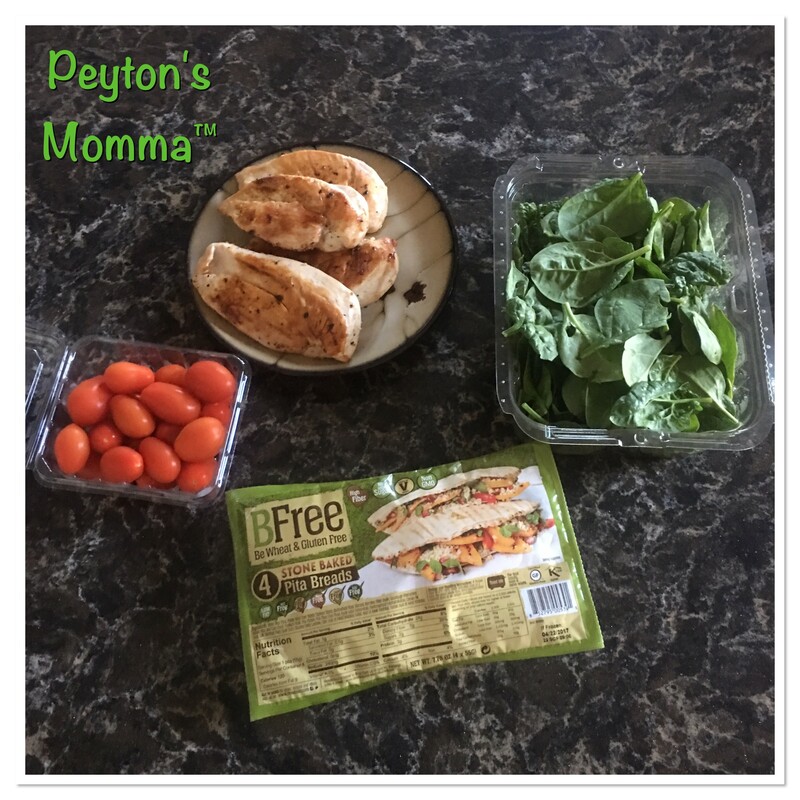 After Peyton’s 6-year-old check up I have really started to take a look at what she eats. After tracking her diet for a few weeks what I noticed was carbs, wheat and low protein were her meal choices when away from me. The school system and camp she attends both follow the federal food guidelines. The federal food guidelines is a bunch of nonsense. I even discussed it with our family doctor and she said Peyton would be better off if I sent her lunch to school with her. So that is what I’ve been doing for the past 2 months. I have also been educating myself on food choices and products out there that travel well in lunch boxes, are healthy and taste good. 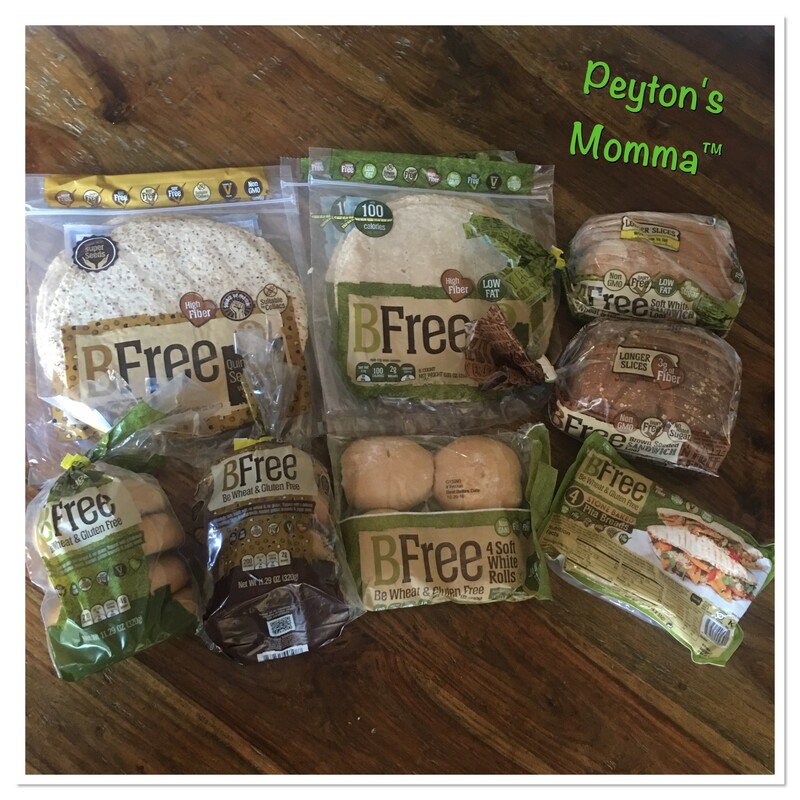 Through this process, I found BFree Foods, a company that makes bread, rolls, tortillas, pitas, bagel and more with no gluten or wheat! BFree sent us a huge selection to try out so we could see what they taste like and how well they work in lunch boxes. I was excited to see they made pita bread! I’m a huge fan of pitas because I love being able to stuff a whole bunch of veggies and meat into them without having to worry about losing half of them while I eat. Pitas are perfect for on the go, lunch boxes and kids. Plus you can do so much with them! And if you put dressing on your sandwich it won’t leak out the sides or bottom and get on your shirt. Not that that’s ever happened to me, like right before a huge meeting with a client or anything. 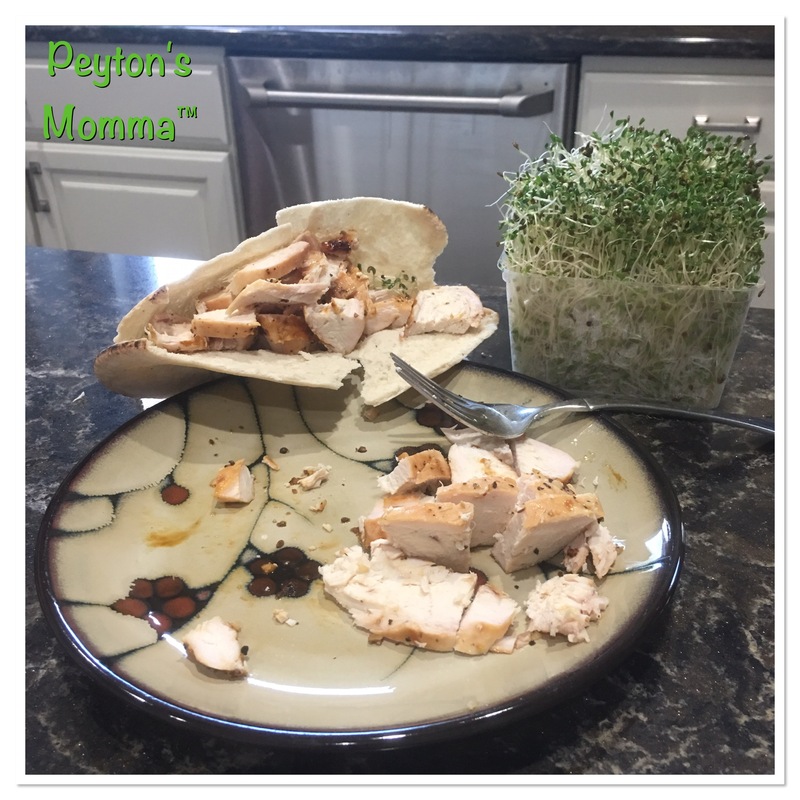 Here’s my quick weeknight meal idea with pitas – Grill up some yummy chicken breast and slice it into strips or chunks. Bite size pieces work best. Then take some spinach or lettuce, tomatoes, cucumber or any other vegetable you like in salads or sandwiches. Stuff your pita with the veggies and chicken and you’re done! Instant healthy chicken pita sandwich. You can even add some salad dressing for a little kick. Peyton was pretty impressed with the Pita, she’s never had a Pita sandwich before. I thought the Pita itself was tasty. You know how with some gluten free products they are dry or taste funny? Not with BFree products! They taste great and I honestly wouldn’t know the difference by taste. 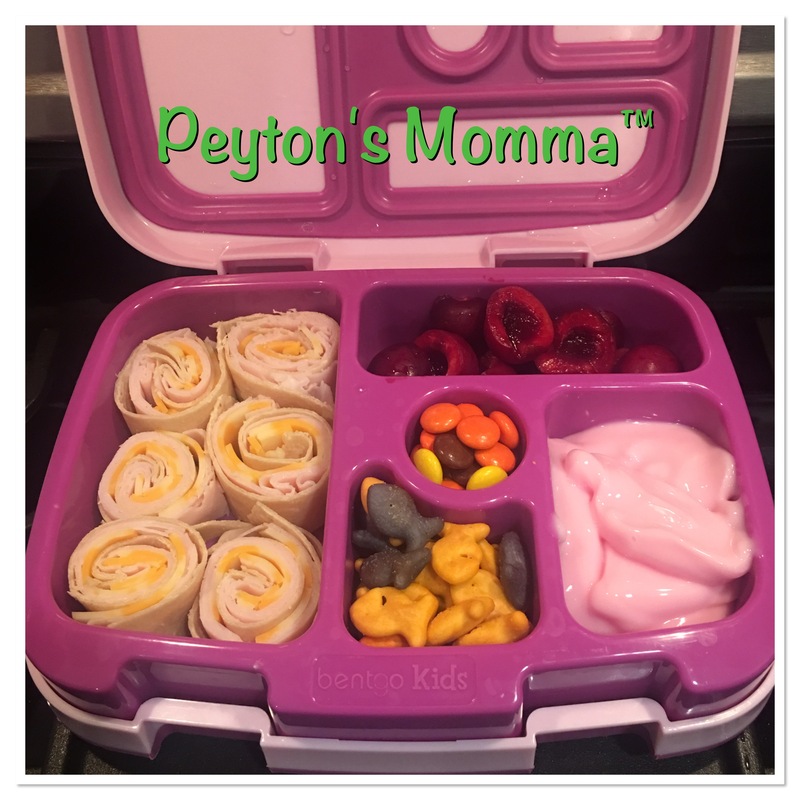 Next up, I used the tortilla to make Peyton some pinwheels for lunch. I actually felt these worked better than regular tortillas. They were thinner than flour tortillas I have purchased and they did not rip like flour tortillas do. When I asked Peyton what she thought of her lunch she said she loved it! She thought it was fun to have little bite size sandwiches to nibble on while she talked with her friends. My family has been using the BFree products for a few weeks now and I can say we all enjoy them. Not one person I have served the BFree products too has noticed a texture or taste difference. They don’t even miss the wheat or gluten! But I can tell I fell better. I was on the fence about gluten having an effect on our bodies but I can tell you, after a few weeks without eating gluten and wheat laden breads, I do notice a difference. As you are getting ready for your next picnic or meal I challenge you to pick up a BFree product. Try it out the tortillas for Taco Tuesday or grab some bagels to take into the office. You are going to be surprised at what a difference cutting out wheat and gluten is. Plus BFree products are high in fiber, non GMO and they do not add sugar to thier products. You can purchase BFree product at Meijers, Jewel-Osco and select stores. Check here to see if your local retailer carries BFree.